I know, I’m a sucker. I told myself not to get the next release of the series right after the third book two weeks ago and I failed. My OCD just kicked in and I want to complete the series even though the plot wasn’t that good. I liked the way the author describe Venice and Florence. These 2 spots are on top of my next travel trip. I disliked (no, hated should be the right word) the Kyle character so much to a point I was basically skipping the part of the book that talked about him. The author did a great job creating such a detestable character. The plot was getting ridiculous which every vampire from present can travel back in time anytime they wanted and able to foresee the future. These unique abilities were supposed to be limited to a handful vampires. As usual, the feeling between Blake and Caleb bouncing back and forth for Caitlin. Blake was killed off in this book but then the ending asked Caitlin to go back more in time to find her father. Blake will be back again, yay! I like her relationship between Caitlin and Blake more than Caitlin and Caleb. Looks like this will be long series and I hope I can pull myself back from getting the next book. 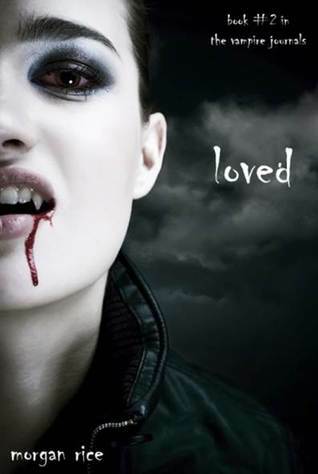 The Vampire Journals (#1: Turned, #2: Loved, #3: Betrayed) were a quick and easy read for me. I was able to finish all three books within 2 days. I would give the series 1 to 2 stars (out of 5). I would definitely think twice before picking up the next book in this series. The cover designs look great. The title however misleading. Journal doesn’t play a big part of the story. To me, Turned and Loved can probably be combined into one book. The plot between the first two books is way too thin, the story flow between the books was too fast, the characters’ development were too short. Caitlin (the One, whatever that means) fell in and out of love so easily between Jonah, Caleb and Blake. Turned started slowly about a girl started at a new school in New York. She got to know Jonah in one of her classes when he was being nice to her giving up his seat. She then rescued him from being bullied when she was walking home on her first day of school and started developing her power being half-breed. Sam run away from home to find their dad. Jonah asked her out on a date and she killed the opera singer Sergei. Caleb rescued her when the black forces led by Kyle captured her for exposing vampire-ism in the human world. Caleb then took her back to his coven where both of them were cast out. Loved was more interesting. Caitlin and Caleb were on a journey to find the Sword by following clues left behind by her dad. It kept me on the edge on expecting what’s coming up next. The love between Caleb and Caitlin supposedly blossomed but I did not feel the deep connection between them. The ending however was rushed. Caitlin and Caleb finally found the Sword and Sam with Samantha as well as Kyle with Sergei, found them with the Sword. Kyle won the sword and stab Caitlin with it. She pleaded Caleb to turn her. 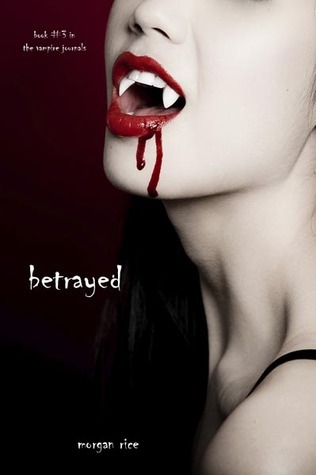 Betrayed explored more plot than the first 2 books but it was not enough and I wanted to stop reading Betrayed so bad throughout the book. Caleb turn Caitlin into a full-fledged vampire. He brought her to Pollepel where vampires without coven seek refuge. In the mean time, Sera was causing a wedge between Caitlin and Caleb. If Caitlin love Caleb so much, she would have taken the time to listen to his explanation. Thinking Caleb betrayed her, she started to put more effort into her training but felt a connection to Blake after 2 days breaking up into the training. Caitlin is pregnant with Caleb’s child and yet, being a hot-headed, hormone-pumped teenager, she left Pollepel where she felt right at home and without any training to rescue Caleb against Aiden’s (who can see the future) advice. She then killed Caleb thinking it was a trick of shape shifting from Sam. Regretting it, brought Caleb back to Pollepel asking for help from Aiden to go back in time with all the risks. She should be glad that she is still left with a piece of Caleb.